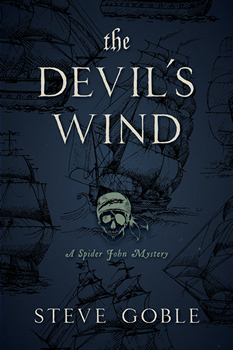 1723–Spider John, longing to escape the pirate life he never wanted, has an honest seafaring job at last aboard a sailing vessel, and is returning to his beloved Em and their child. But when Captain Brentwood is murdered in his cabin, Spider’s plans are tossed overboard. Who killed Redemption’s captain? The mysterious pirate with a sadistic past? The beautiful redhead who hides guns beneath her skirt? One of the men pining for the captain’s daughter? There are plenty of suspects. But how could anyone kill the captain in his locked quarters while the entire crew was gathered together on the deck? Before he can solve the puzzle, Spider John and his ex-pirate friends Hob and Odin will have to cope with violence, schemes, nosy Royal Navy officers, and a deadly trap set by the ruthless pirate Ned Low. My goal with the Spider John books is primarily to entertain, to give readers a chance to forget about the job or the dishes and just relax with a book. I hope they like the characters, and the puzzle, and the action enough to take their minds off of real-world troubles for a while and just enjoy their time virtually sailing the high seas with Spider. I think having my amateur sleuth be a pirate is definitely striking out in a new direction. Spider is essentially a good man who found himself caught up in a very bad situation, and now is trying to leave piracy behind. Of course, he’ll have plenty of murders to solve along the way — and because of his piratical past, he can never lean on the official forces of law and order. I am eager to see how he grows as the books continue. 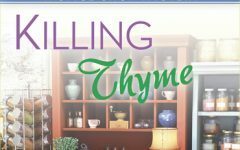 I was surprised to learn how headstrong minor characters can be, and how much their own wants and needs and actions can work against my carefully outlined plot. I think they made the book better, though. No spoilers, but what can you tell us about your book that we won’t find in the jacket copy or PR material? I think readers of “The Bloody Black Flag” who liked the supporting characters of Odin, the crusty old one-eyed rigger, and Hob, the young fellow with dreams of pirate glory, will find those characters further developed in “The Devil’s Wind,” and in surprising ways. I can never repay my debt to Robert Louis Stevenson. Treasure Island is the best pirate book anyone has ever written, and it is the book that first steered me toward adventure novels. Arthur Conan Doyle’s The Hound of the Baskervilles also fed my craving for adventure with its dark moors and frightening ghostly mastiff, but what really grabbed me was the rational solution to the mystery. I have been a crime novel nut ever since. I am so happy to be able to blend those two loves in my books. 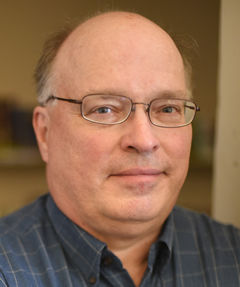 Steve Goble is the author of The Bloody Black Flag, the first Spider John mystery novel. A digital producer for the Cincinnati Enquirer and the USA Today Network in Ohio, Goble edits news copy and helps manage website and print production, along with social media presence, for ten USA Today Network sites in Ohio. Previously, he wrote a weekly craft beer column called “Brewologist,” which appeared on the USA Today Network websites.